This project is formed as part of two skills priorities that were identified in the 2018-2021 Agriculture, Horticulture, Conservation and Land Management IRC Skills Forecast and Proposed Schedule of Work (see pages 61-62). In addressing these skill needs, this project will identify and fill gaps in current skill sets and units of competency from the AHC Agriculture, Horticulture, Conservation and Land Management Training Package to address skills needs in carbon farming and agribusiness. Carbon farming includes conservation, land management and farming activities that reduce emissions or sequester carbon dioxide in the landscape. Support from the National Farmers’ Federation for farmers to access the Emissions Reduction Fund, and a growing interest from farmers to diversify farming activities and income, have increased awareness of carbon farming. However, the previously endorsed carbon farming units and skills sets have been superseded, with no replacements. Currently, there is no nationally-endorsed training available for farmers, managers and conservation and land management workers to fill this growing skills gap. Australia is experiencing increasing market demands for innovation in product development, to ensure the viability of enterprises and to take advantage of opportunities in the new free trade agreement with Asia Pacific partners. To respond to the dynamic and changing operating environment, with increased competition and opportunities to reach global markets, skills are required in strategic planning, risk management, mergers and acquisitions, online marketing, business development and financial planning. New skills in agricultural innovation strategies, implementation of new products and innovation leadership to lead innovative thinking and practice are also required. Skills Impact and the Agriculture and Production Horticulture Industry Reference Committee (IRC) will take this project through a process that adheres to the 2012 Standards for Training Package Development. This project will review and develop agribusiness qualifications, carbon farming skill sets and related units of competency so that all job functions are accurately described, with appropriate current knowledge and skill needs. Carbon farming includes conservation, land management and farming activities that reduce emissions or sequester carbon dioxide in the landscape. Carbon farming practices are becoming increasingly important, but there are few nationally endorsed units, skill sets or qualifications to support training in this area. There is also a growing interest from farmers, managers and conservation and land management workers in diversifying activities and income through carbon farming practices. There is also increasing demand for innovation in agricultural product development, and the skills required in strategic planning, risk management, mergers and acquisitions, online marketing, business development and financial planning. New skills in agricultural innovation strategies, implementation of new products and innovation leadership to lead innovative thinking and practice are also required. Scroll down to view the qualifications, skill sets and units that will be reviewed in this project. They will be incorporated in the AHC Agriculture, Horticulture and Conservation and Land Management Training Package. Rural and regional agribusiness managers (including lending managers, insurance brokers, machinery dealers, chemical resellers, stock agents, grain marketers and real estate agents), agriculture enterprise business managers, production horticulture enterprise business managers, agribusiness administrators. Review and development of agribusiness qualifications, carbon farming skill sets and related units of competency. Below is a list of current qualifications, skill sets and units proposed for revision and development as part of this project. In preparation for the review of these components, we invite you to provide your input on the current qualifications, skill sets and units. We would like to know what changes or updates should be made to the components so that they meet the skills needs of the industry. Use the links below to view the current components on training.gov.au. To provide feedback, please use our feedback form. Alternatively, you can email Cathy Beven catherine@skillsimpact.com.au. Stakeholder input is appreciated throughout the duration of this project. The documents will be drafted in consultation with Subject Matter Experts and their networks. Opportunities to provide targeted feedback will occur when the draft materials are made available, which is expected to be November – December 2018, and again for validation of final drafts in February 2019. However, your feedback is welcomed at any time, and will help us in drafting the qualifications, skill sets and units. It is important that training provides a skilled and flexible workforce for the future. The qualifications, skill sets and units need to reflect real work experience. So if you work in the sector, Skills Impact would appreciate your input and help. Please feel free to register your interest for project updates and consultation opportunities by following the newsletter subscription link below. Alternatively, please feel free to contact the project manager, Cathy on 03 9321 3526 or catherine@skillsimpact.com.au. The Agriculture and Production Horticulture Industry Reference Committee (IRC) and Amenity Horticulture, Landscaping, Conservation & Land Management IRC will oversee this project, as part of their responsibility to support engagement with the sector, and to ensure the project meets industry stakeholder needs. Initial development work on this project has begun. Subject Matter Experts (SME) are being consulted to draft the revised qualifications, skill sets and units of competency. Meetings with these experts have taken place to address feedback that was received in the early ‘Project Plan‘ stage of this project. SME meetings were held during September, with people who work directly in the Carbon farming and Agribusiness Industry. These meetings helped to identify the various job roles and tasks that exist within the industry. The information gathered will help determine where qualifications, skill sets and units of competency may be developed or revised, to assist with addressing training gaps within these sectors. Please feel welcome to continue to provide feedback about the current and existing qualifications, skill set and units that will be revised in this project. To view the qualifications, skill set and units that will be reviewed in this project, select the ‘Project Plan’ menu option above. Thank you to those stakeholders that have been involved and provided feedback and advice so far. The revised draft qualifications, skill sets and units will be made available on this webpage for public consideration and feedback from November 2018 (under the ‘Drafts Available’ menu above). Face-to-face consultation workshops will also take place, across states and territories, with a webinar planned for those unable to attend in person. Registrations for these workshops are now open. Please feel free to register for a workshop near you by clicking the corresponding link. Thank you to all those who provided feedback on the draft qualifications, skill sets and units of competency for agribusiness and carbon farming. The drafts were made available on this webpage for broad stakeholder review and feedback from 21 November – 21 December 2018. Feedback was sought on whether the draft qualifications, skill sets and units reflect the current skills standards and practices of industry, and whether job functions are accurately described. 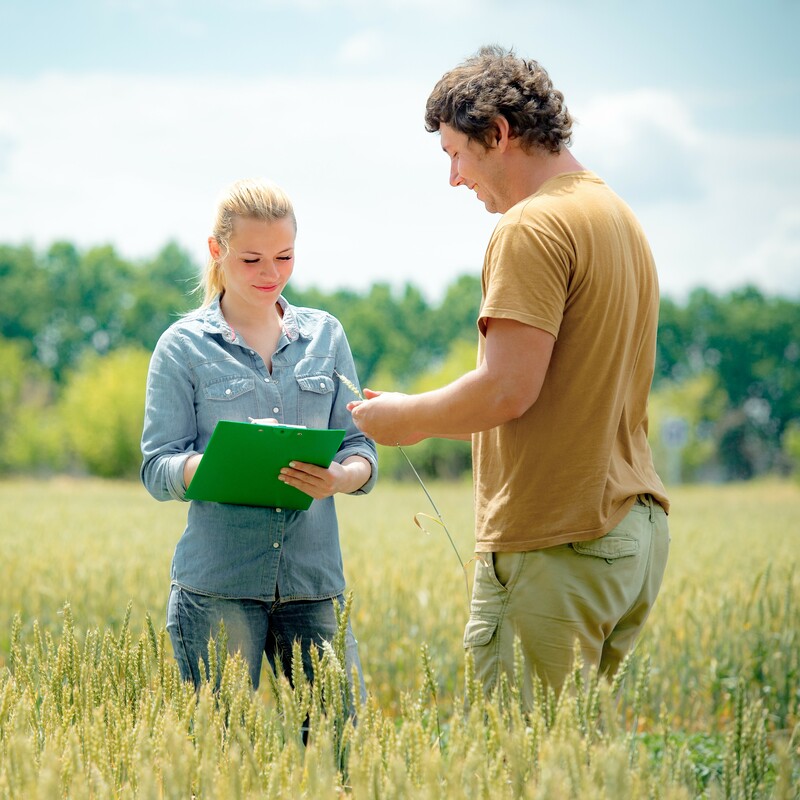 Agribusiness – Three revised qualifications, one new skill set and 44 revised units have been drafted to clarify job tasks, assessment requirements (including the volume and frequency of performance for assessment) and to remove duplication. Carbon Farming – A suite of eight units and five skill sets have been developed to address skills and knowledge related to carbon farming. Feedback will inform the work on the final drafts which will be available for industry validation in February 2019. The documents were drafted in consultation with subject matter experts who work directly in the carbon farming and agribusiness industry. Meetings were held in September and the information gathered helped to identify training gaps in these sectors, and guided the review and development of the qualifications, skill sets and units of competency. 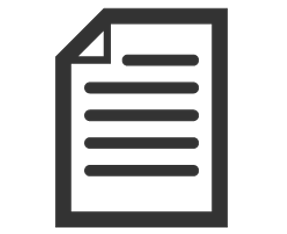 The draft document can be downloaded in Microsoft Word format by clicking here. Thank you to those who participated in the validation process for the final draft qualifications, skill sets and units of competency. The final drafts were made available on the Skills Impact website from 8 – 22 February 2019. The final drafts will shortly progress through to the Finalisation stage of the project which includes quality assurance of the documents and review and feedback from the State/Territory Training Authorities. They will then be forwarded to the Agriculture and Production Horticulture Industry Reference Committee (IRC) and Amenity Horticulture, Landscaping, Conservation & Land Management IRC for consideration and sign off, before being submitted to the Australian Industry and Skills Committee (AISC) to consider and approve for publication on training.gov.au. Validation  means checking and confirming that the documents are logical and factually accurate. Prior to the Validation period, the draft qualifications, skill sets and units were made available from 21 November – 21 December 2018, under the ‘Drafts Available’ stage menu above. Feedback on the draft documents was collected via an online feedback hub, emails and nationwide face-to-face consultation workshops with industry stakeholders. A description of how feedback from the ‘Drafts Available’ stage has been considered and applied in these final drafts can be downloaded below. Please click the ‘Download Summary of Feedback, Responses and Actions’ button. This unit is proposed for deletion as it could be replaced with BSBMGT621 Design and manage the enterprise quality management system, to reduce duplication of units across training packages. This unit currently appears in AHC60216 – Advanced Diploma of Horticulture as an elective unit. It also appears in AHC60316 – Advanced Diploma of Agribusiness Management which is currently under review and will be superseded by AHC60319 Advanced Diploma of Agribusiness Management. The final draft units of competency, skill sets and qualifications are currently undergoing an edit and equity and independent quality assurance process. Part of this process involves the Agriculture and Production Horticulture IRC and Amenity Horticulture, Landscaping, Conservation & Land Management IRC providing support for the final documents. Once this process has been completed, the qualifications, skill sets and units will be forwarded to the State/Territory Training Authorities (STAs/TTAs) for their consideration and to seek their support for submission to the Australian Industry and Skills Committee (AISC). Comments from the STAs/TTAs will be reviewed before the final drafts are forwarded to the IRCs. After consideration and sign off by the IRCs, the final drafts will be submitted to the AISC as part of a Case for Endorsement, for their consideration. We love hearing your stories about how projects like this one are helping to improve your industry’s future. If you would like your comments published, please get in touch. “I would like to recommend and endorse the Agribusiness and Carbon Farming Project as a long overdue and worthwhile incentive for the sequestration of carbon from regenerative agriculture. With so much of the country suffering from extended drought, it is imperative to build resilience into agriculture for the fluctuating future” Richard Makim, Holistic Grazier and Carbon Farmer.